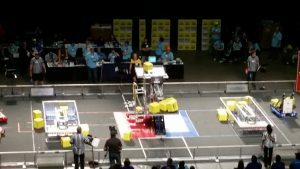 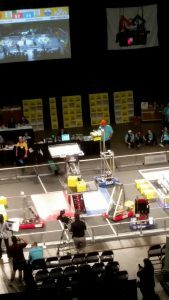 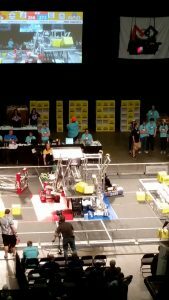 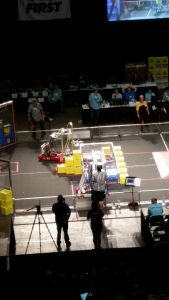 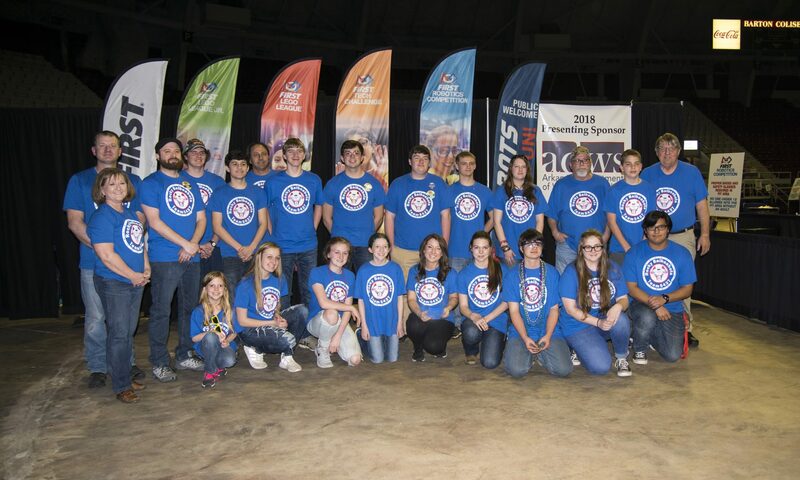 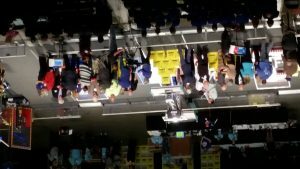 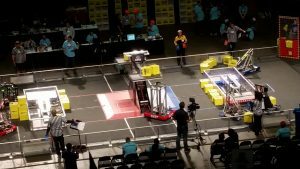 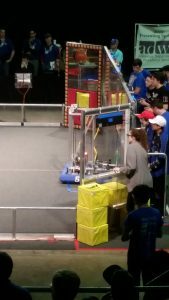 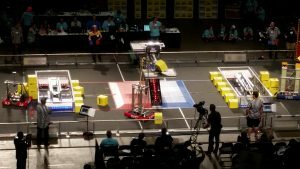 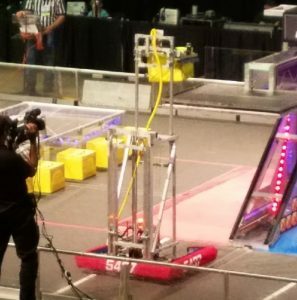 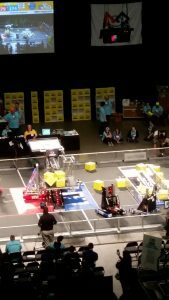 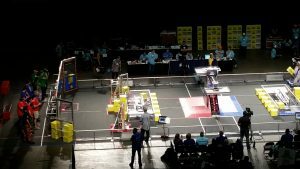 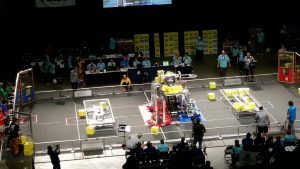 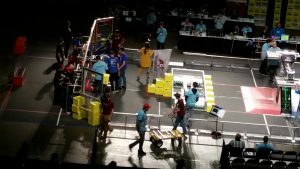 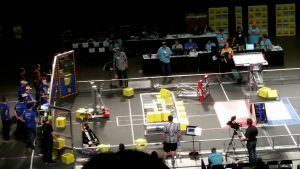 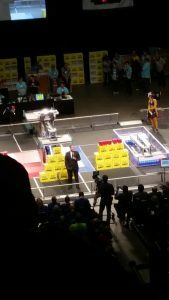 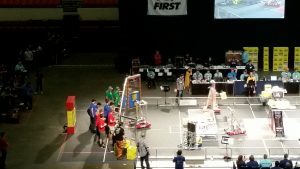 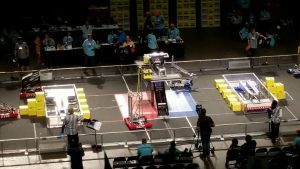 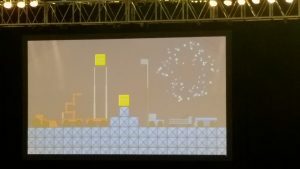 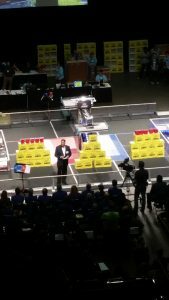 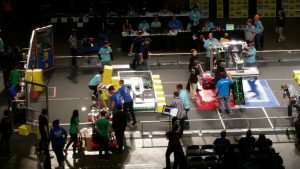 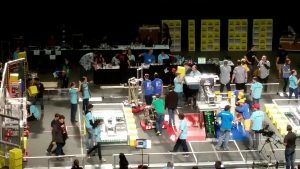 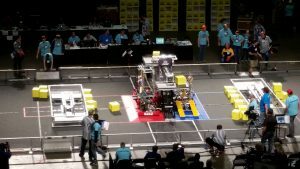 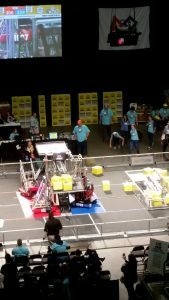 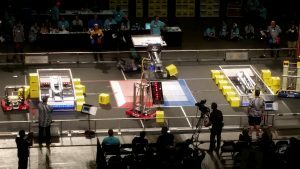 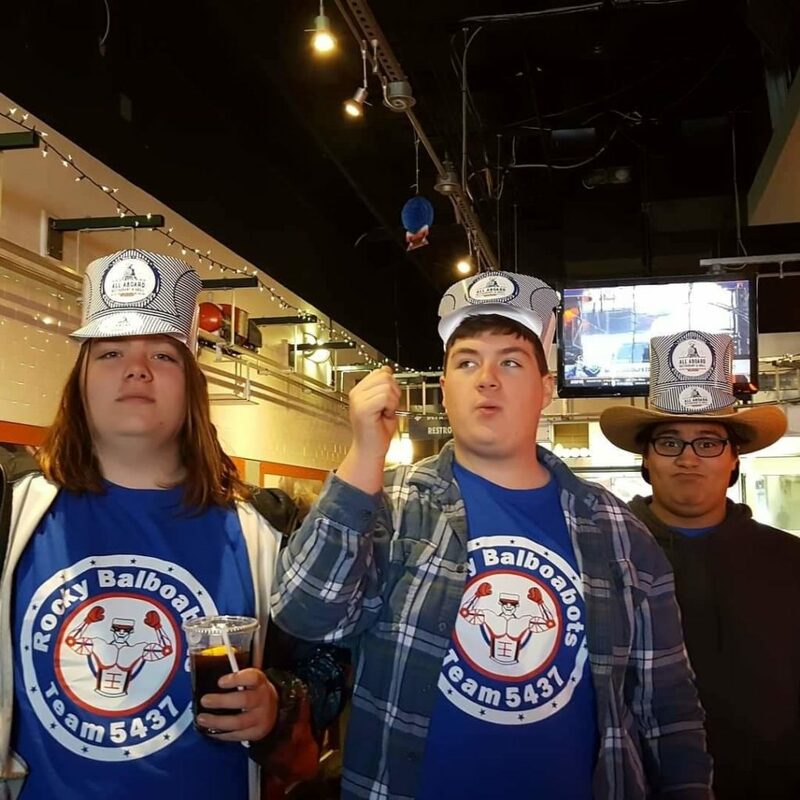 Below is the link to watch the Rocky Balboabots live compete at the Houston World Championship. 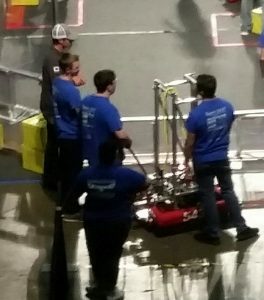 After two hard played matches, our alliance has lost in the quarter finals. 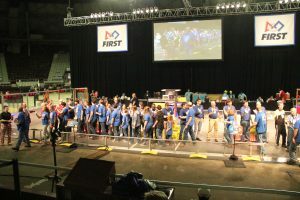 Great job Teams 3616, 5002, and 5437! 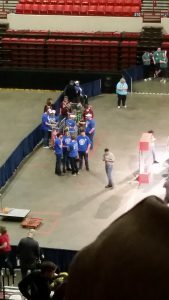 Good luck to the rest of the teams competing! 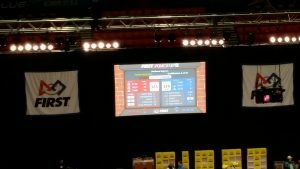 Team 5437 finished the qualification matches Rank 18 over all and Rank 5 for OPR. 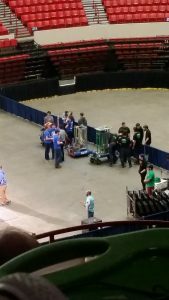 Our Team was chosen as the first pick by Team 3616 Team Phenomenon, and the second pick was 5002 Dragon Robotics. 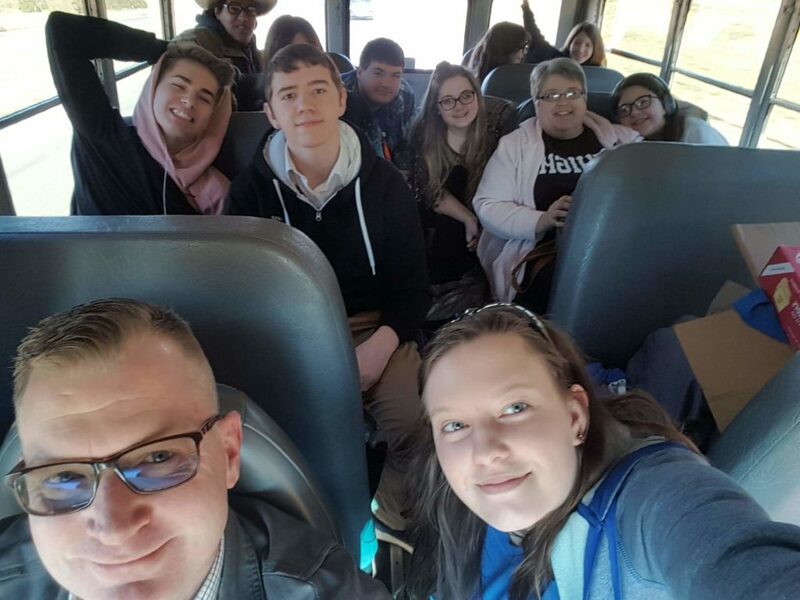 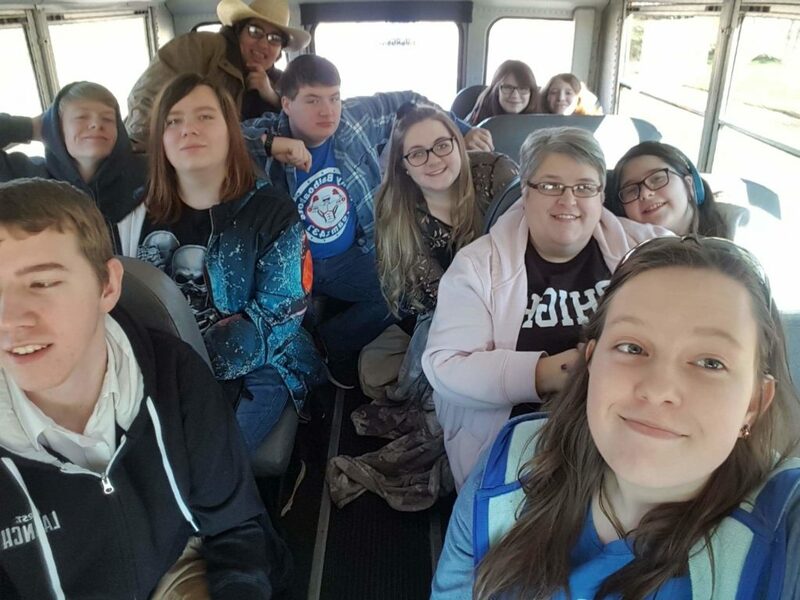 It’s a lot to feed this many teenagers and keep them entertained, lucky for us the mentors took us to All Aboard in Little Rock, Arkansas! 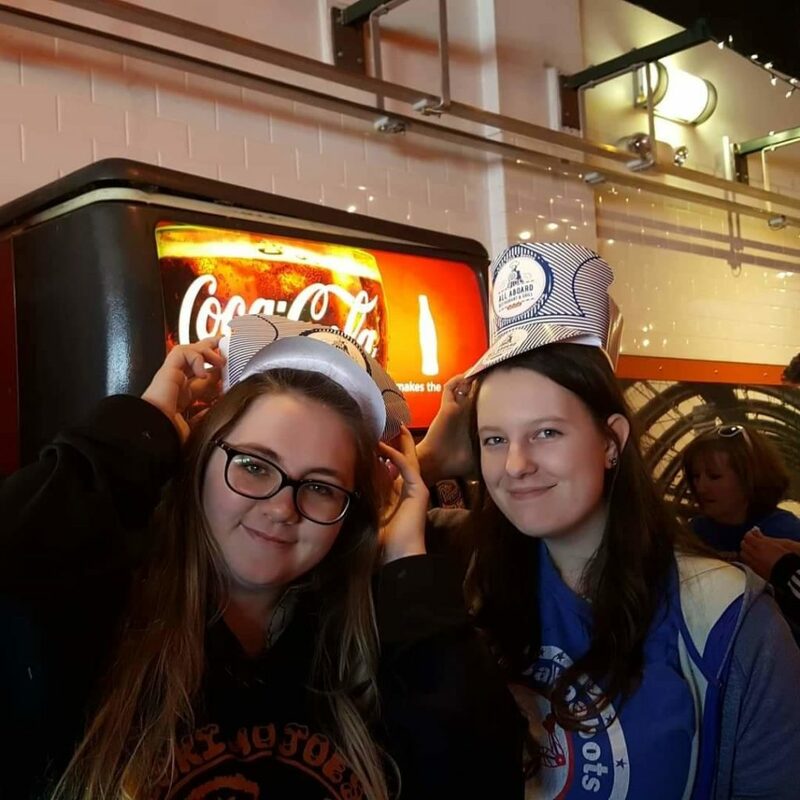 We enjoyed watching the trains bring us our food, and it was definitely a cool stop on today’s trip. 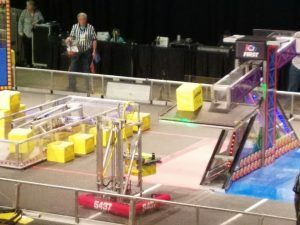 Today is load in for the teams attending the 2019 Rock City Regional in Little Rock, Arkansas. 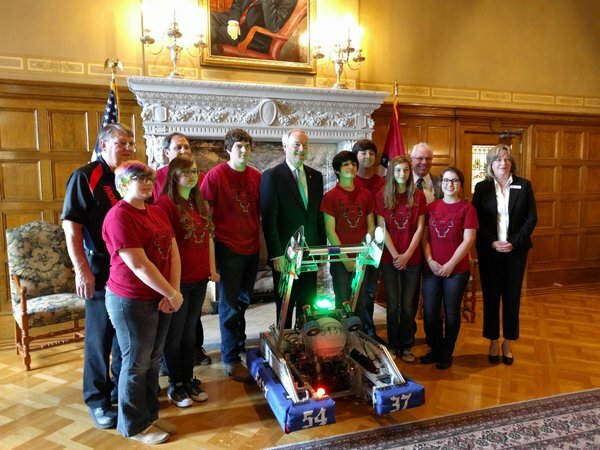 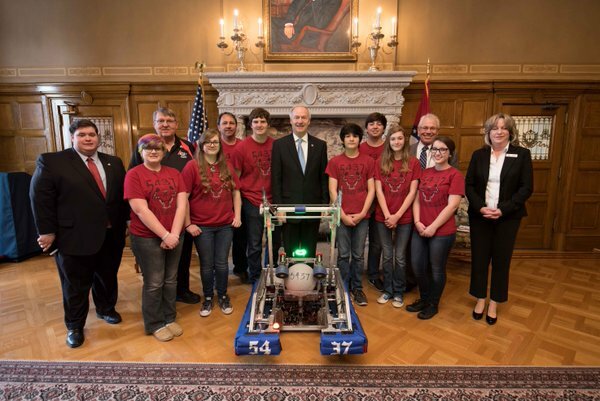 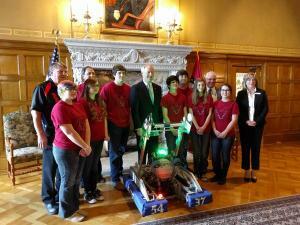 Team 5437 is making a stop at the Arkansas Capitol Building on our way to load in. 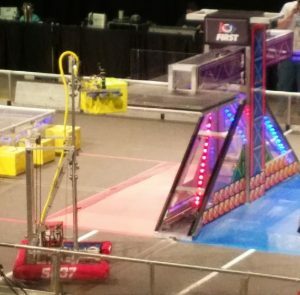 We wish luck to all the teams competing this week all all the competitions! 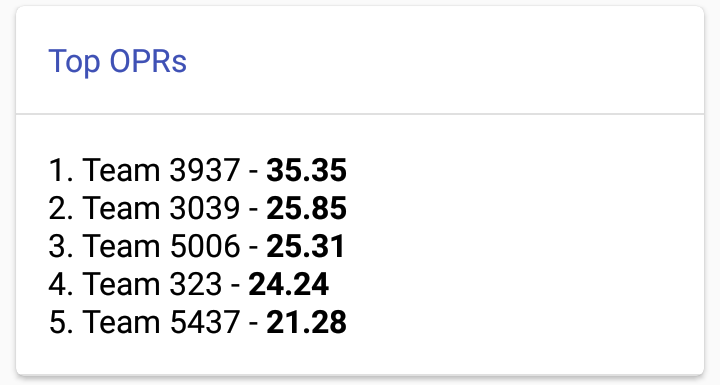 Everyone out on the road, have all safe drive. 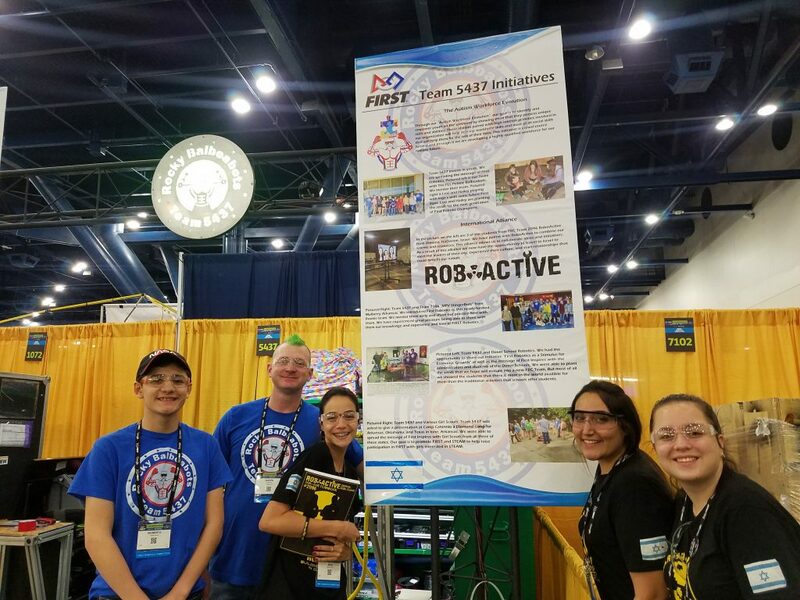 We look forward to seeing everyone! 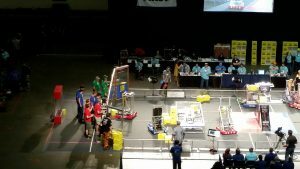 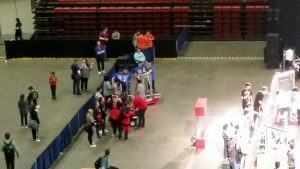 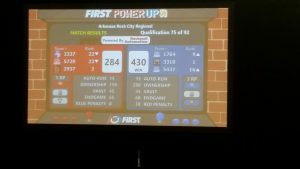 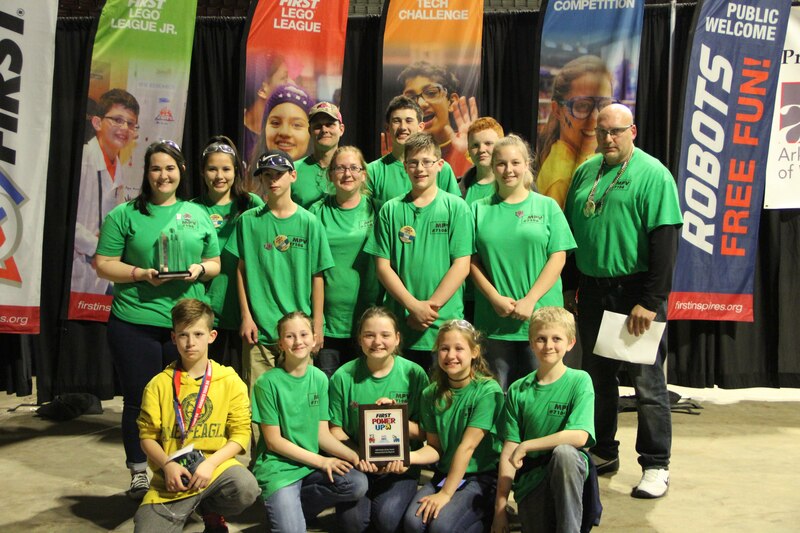 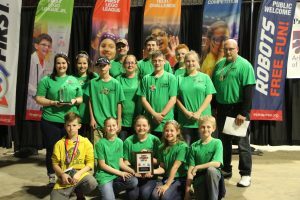 This is the first in a series of video’s that we are putting out to educate teams all around the world about the benefit of First Robotics and the “Competition Experience”. 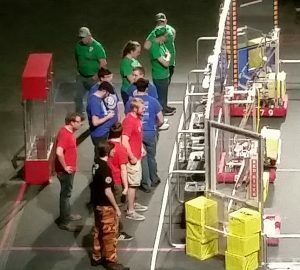 Competitions can be overwhelming. 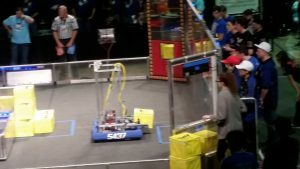 We hope to help rookie and veterans alike to never miss an opportunity at competitions. 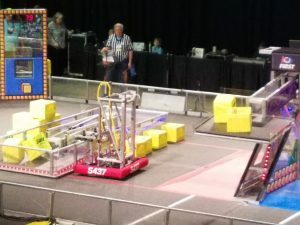 After two successful years mentoring Rookie Teams (7106 MPV StingerBots and 7568 Tro-Bots), we have decided to introduce the Rocky Balboabots Rookie Arena, a place where rookie FIRST Robotics teams can come for assistance with all their robot and competition needs. 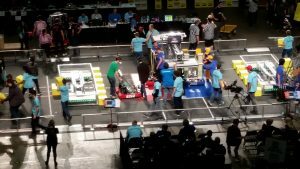 We look forward to a future of mentoring more new teams, and happily outstretch our arms, welcoming those who would like some assistance. 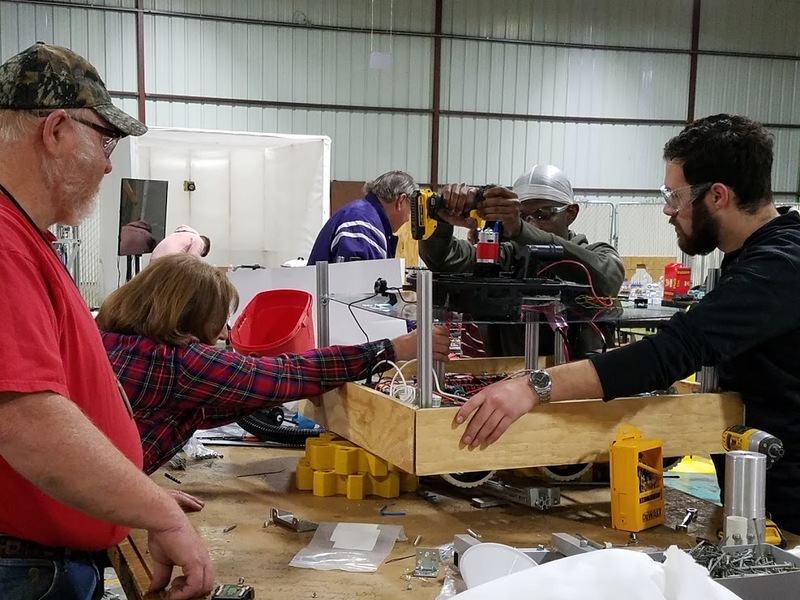 Today our team began work on the elevator mechanism for this year’s robot, particularly mentor David Corley and student Josh Reddy. 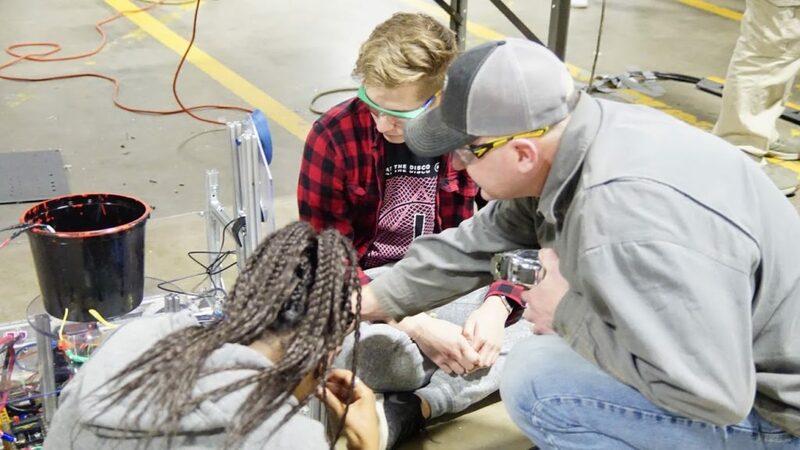 David reached his hand out to our promising student, including him in the process of constructing our robot and passing down skills in project management and implementation. 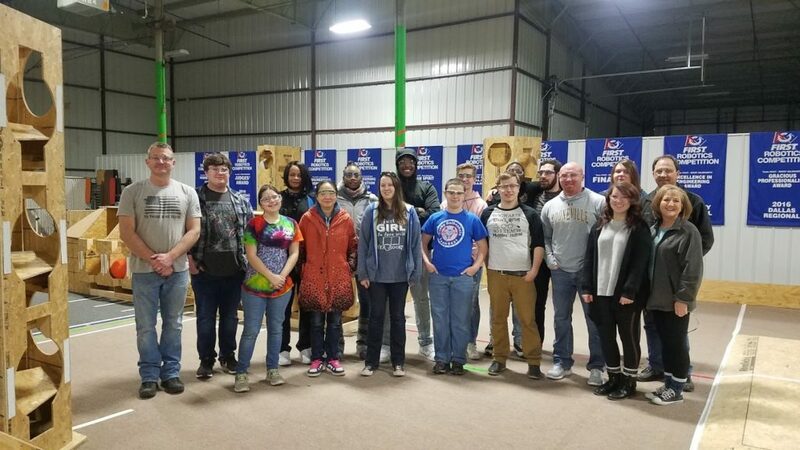 The teamwork between the two was very evident, and many smiles were flashed by not only the participants, but also the onlookers, a sense of inclusion and learning floating throughout the build area. 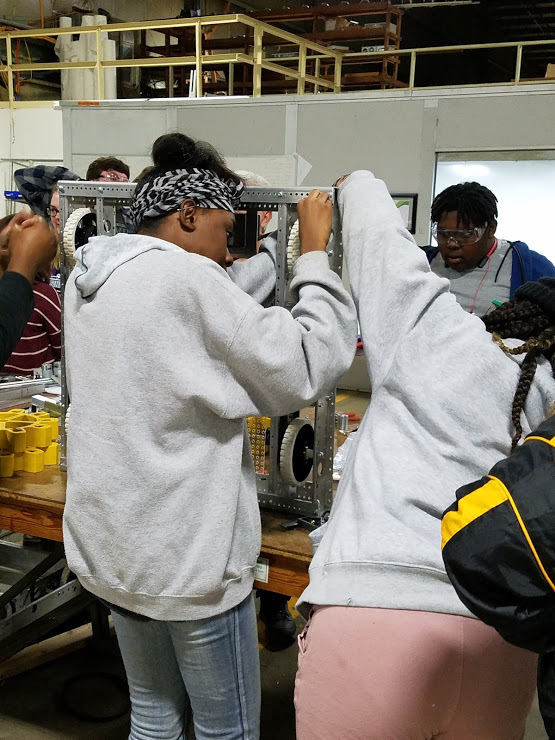 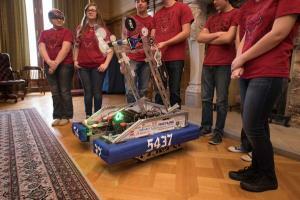 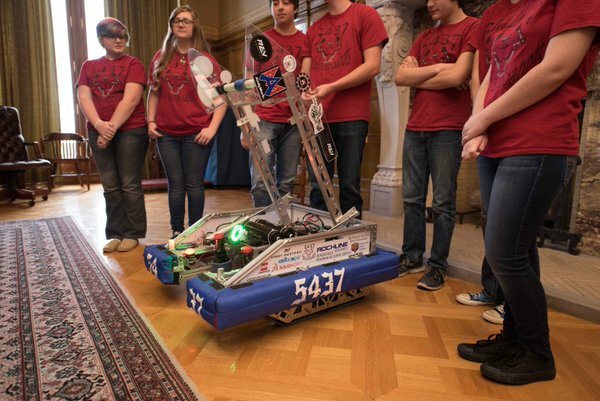 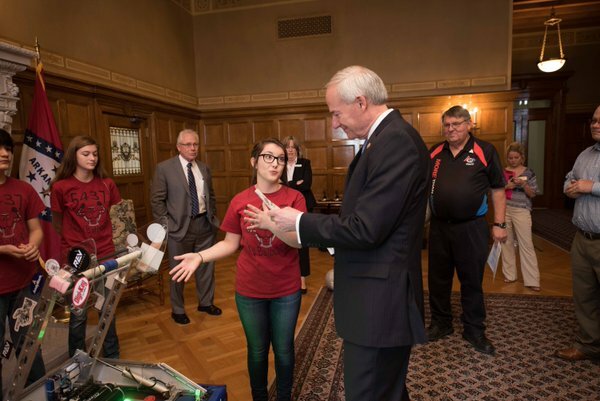 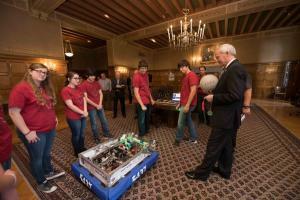 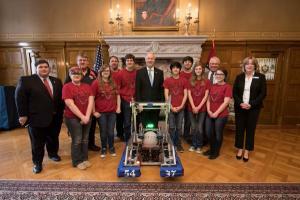 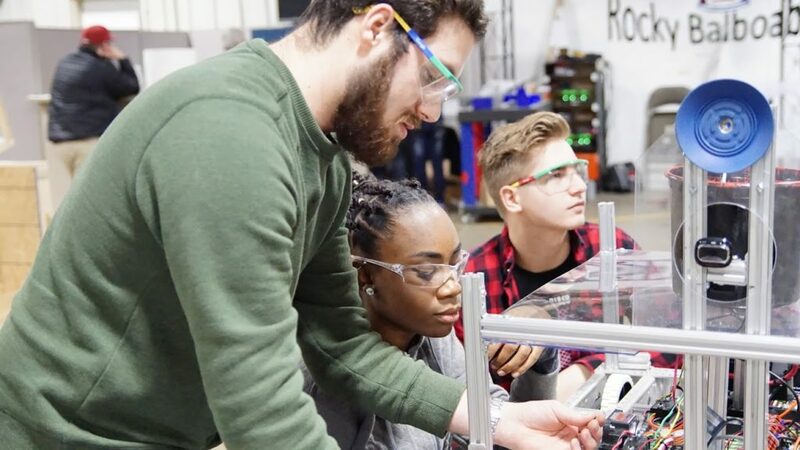 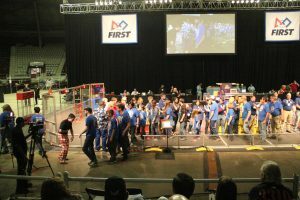 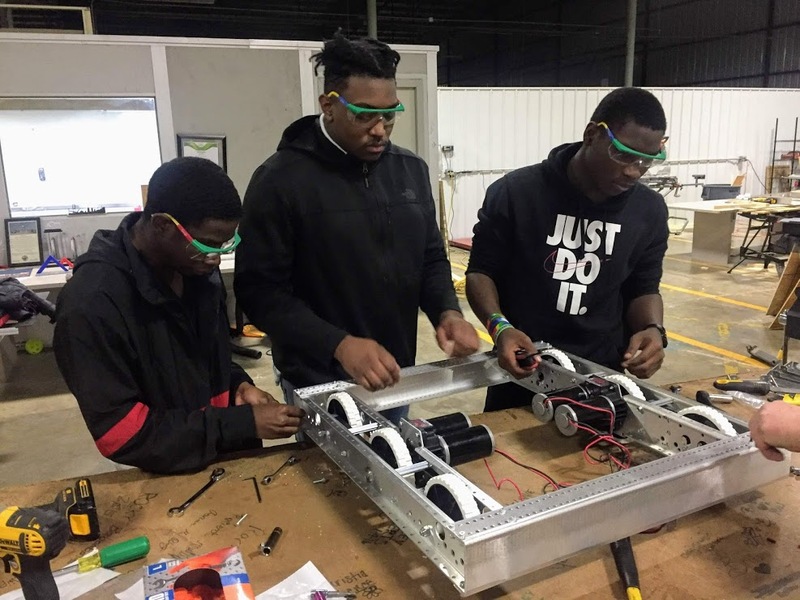 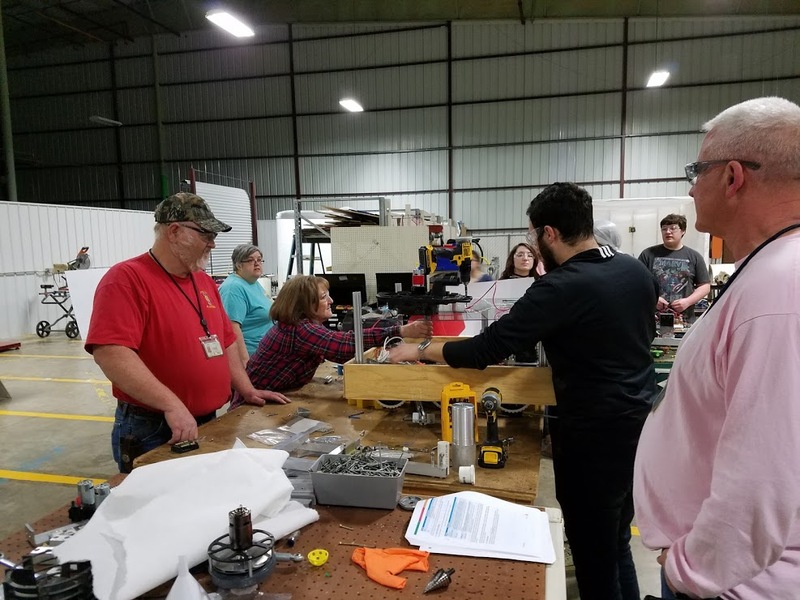 The two spent several hours assembling the design, and a generation gap was bridged through the help of FIRST Robotics. 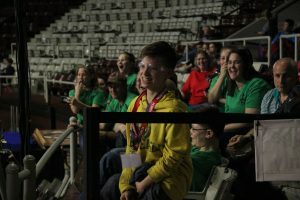 It is moments like these when one realizes just how much being on a team can impact lives and better the futures of many. 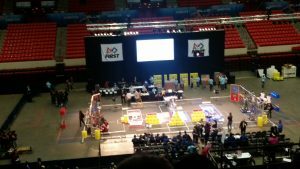 After a long awaited reuniting, we finally got to face to face see our friends from Dimona, Israel. 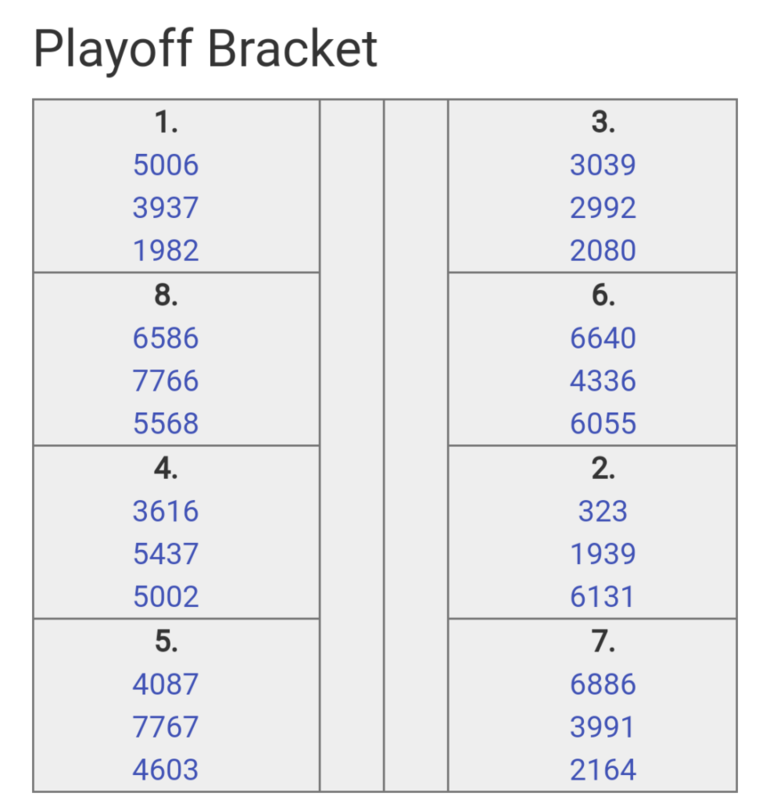 Here is the link to the stream to the Championship. 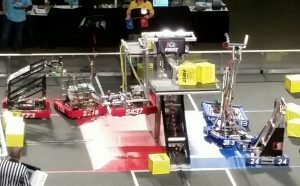 Match was very close, not many more matches to go today. 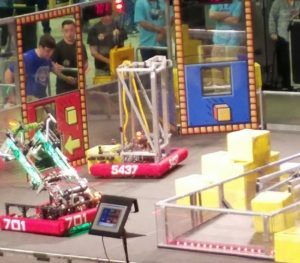 Another really close match. 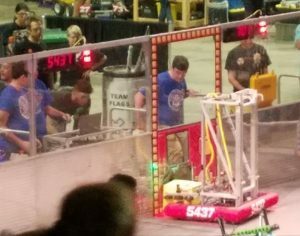 Two more to go today. 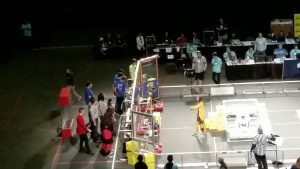 Interesting match, played lots of defense.